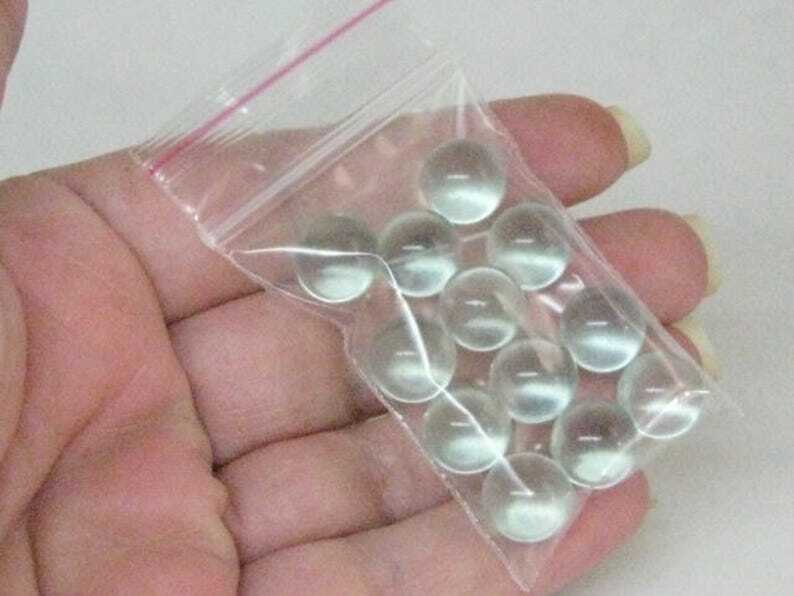 A dozen no-hole glass balls with a clear slightly​ green tint. These little marbles are only 10mm in diameter. NOTE These may contain some blemishes. Very nice hint of green. A little larger than I needed for my current project but will definitely use on another one.